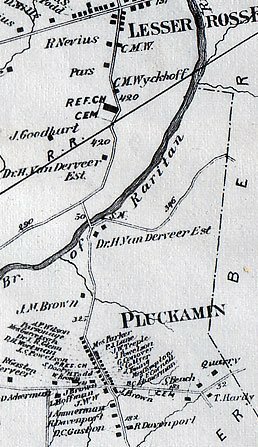 Maybe we’re taking this way to seriously, but I’ve been searching for bakeries that serve New Jersey’s best crumb cake. If you’re NOT a fan of the cake, you might want to leave now because we’re really going to get into the discussion. Now for those of you who ARE fans, read on. 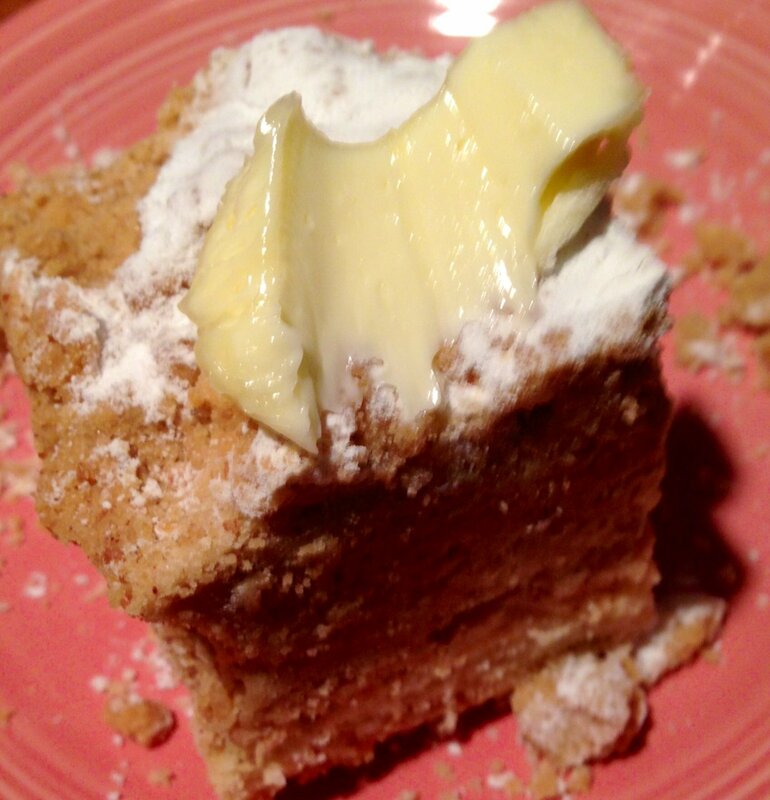 New Jersey fans of crumb cake have been treated for years with the delectable breakfast offering. As we’ve found, this treat is not available all over the country. 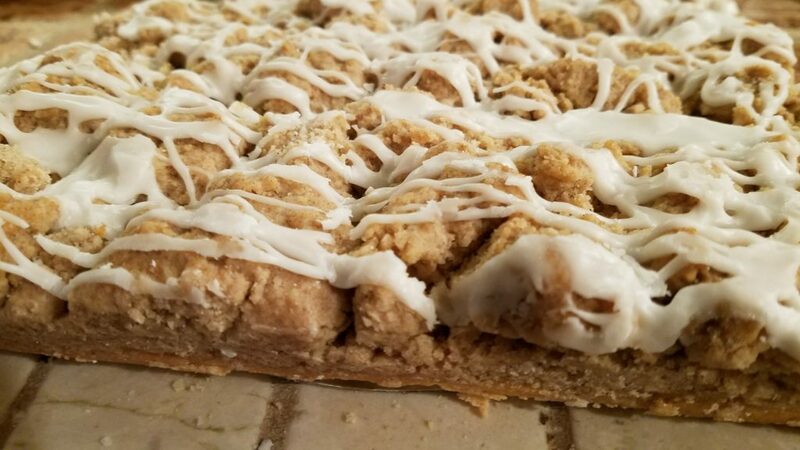 While companies such as Entenmanns have tried to fill the bakery gap with both the regular and deluxe(extra crumb with a Drakes cake yellow base) versions of it’s recipe, it’s still not even close to crumb cake heaven. 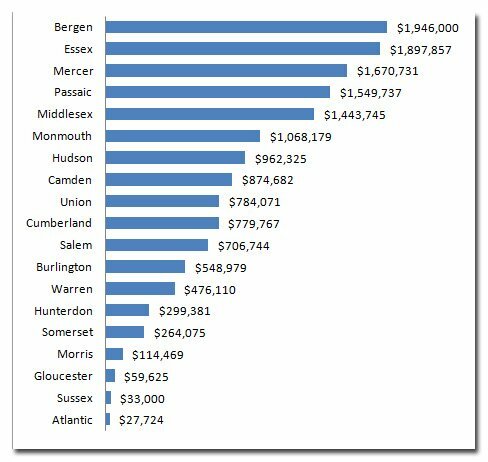 That’s what this piece is about – using the Internet to get the word out and get your stories back on what you say is the best crumb cake in New Jersey. And since the world revolves around New Jersey, the title would mean global supremacy in the crumb cake world. Me – my story started as a young kid going to Margie’s Cake Box on the Scotch Plains/Plainfield border in New Jersey (Gone but not forgotten!). 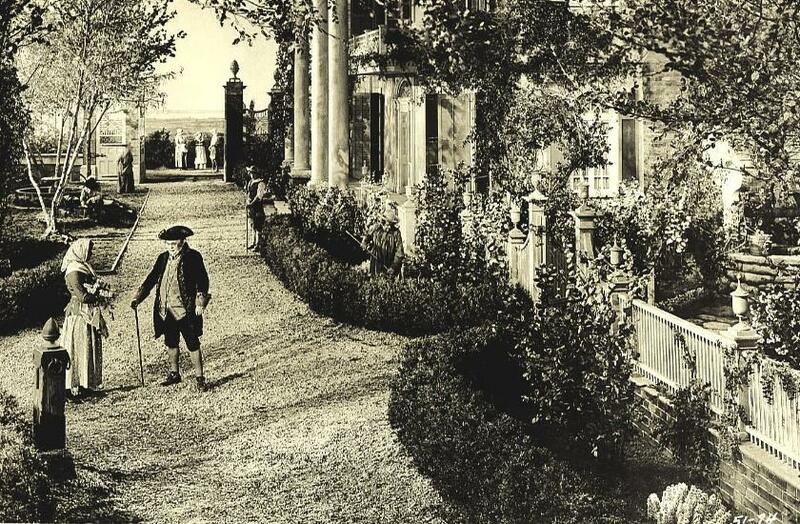 Can’t remember the age – but I do remember the experience. Baked on a sheet – Crumb cake from B&W in Hackensack, NJ ranks right up at the top of the list. If you Google “Crumb Cake” you come back with over 4.86 million hits. Click on the images search and you’ll start to see that yes there are some weird people that are snapping pictures of their favorite crumb cakes. If you then Google “Best Crumb Cake” the search drops in half to just over 2 million results. 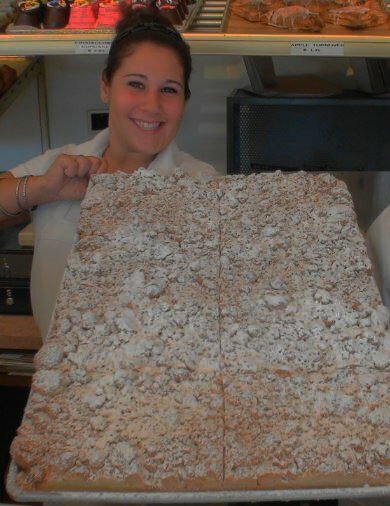 Finally we searched “New Jersey’s Best Crumb Cake” and got over 500,000 results. Other terms are used to define this popular breakfast item – crumb cake, crumb bun, coffee cake are just a few. But now you start to see who’s in the game! We’ll discuss later. 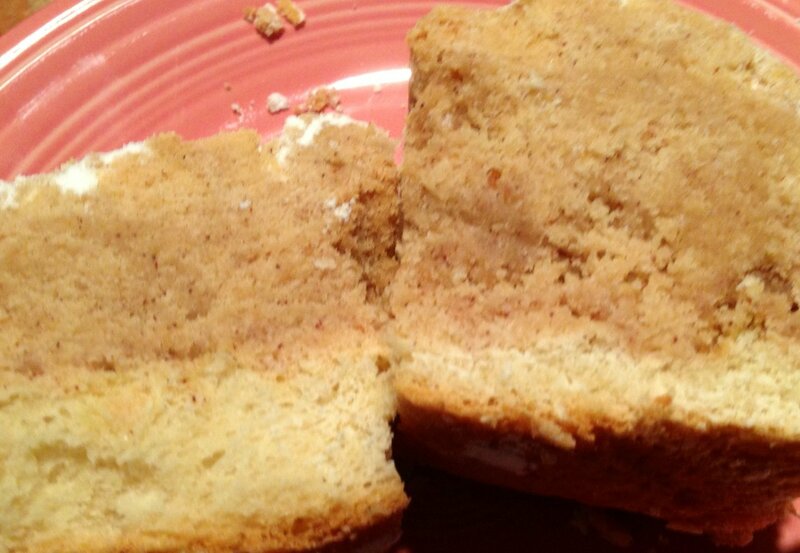 But let’s see how Wikipedia describes crumb cake: WHAT it’s not there? Listed as a reference is the term Streuselkuchen (crumb cake) – a German term – http://en.wikipedia.org/wiki/Crumb_cake (unbelievable) – shoved in there with the coffee cake genre – how dare they! We’ll have to work on that after this review is published. 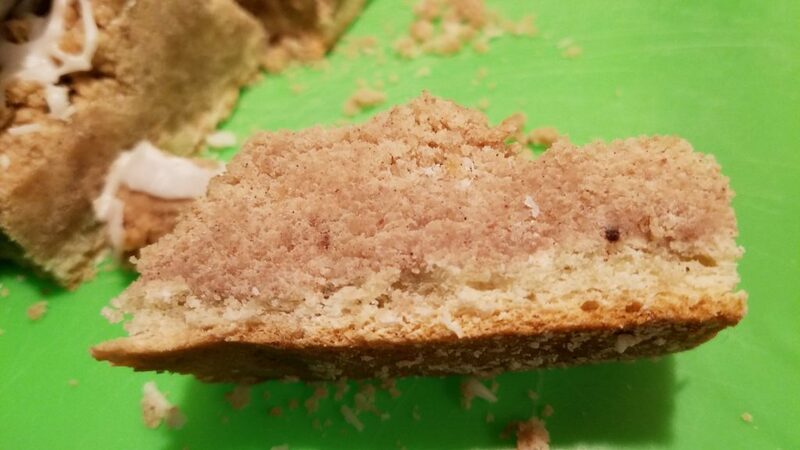 Anyway, if you check recipes for crumb cake it’s basically brown sugar and butter, and a variation of other things but that’s about it. Calorie count – depending on the piece could be from 500-700 calories per serving (depending if you add on what we’re going to discuss next – butter and icing). While my wife thinks it’s the one of the grossest things ever done, you just can’t beat a swab of soft butter on the top of your masterpiece. It just takes it over the top, and that’s why people probably do it. However, it is a personal preference and we won’t hold it against you if you do. Vote now and tell us what you prefer. When you go over the top, many add a slab of soft butter to the top of their cake. How about you? Answe the poll question and let us know what you do. Whats the BEST way to EAT Crumb Cake? Powdered or Powdered and Iced?Mueller’s of Bay Head with the iced mountains of goodness. What's crumb cake's BEST Crumb to Cake Ratio ? So let’s start with what makes a perfect crumb cake. First obviously it’s the crumbs – that top layer that’s supported by a cake base. After all, it is called Crumb Cake and not just Crumbs. And yes there is a required balance. While some experts prefer heavy crumb content, we’ve create the Crumb-to-Cake Ratio (CTC Ratio) so not to confuse. A perfect crumb cake will be just that – crumb AND cake. The Crumb TO Cake ratio should be somewhere between 70-80% crumb, with the remainder being cake. And when we say cake, we mean cake, not that yellow looking Drakes cake like sponge stuff (you know what I’m talking about). While we’ve done our best to find the best crumb cake around, we’re only one opinion. Give us the names and your experience and we’ll post here. Post what you think is the best crumb cake around. But don’t tell us it’s some home made recipe cause we’ll then come right to your house. Remember, we don’t take ourselves too seriously, but it has been a fun topic to discuss. And it’s even funnier when you find someone else who has a REAL opinion on the subject. Gotta love the Internet. It’s really serving its purpose. 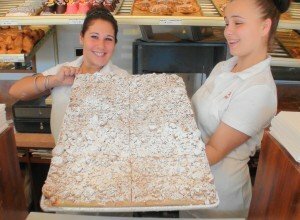 BEST CRUMB CAKE IN JERSEY NO DOUBT IS “SAND DOLLAR CRUMB CAKES” LOCATED IN BRICK AND WHOLESALES TO MANY LOCAL FOOD MARKETS SUCH AS TWIN POND FARMS IN HOWELL, GLORYS MARKET IN JACKSON, BELLA ITALIA IN JACKSON, PRIME FOOD MARKET IN BRICK, BERRY FRESH FARMS IN BRICK AND LAKEWOOD JUST TO NAME A FEW !! THE BEST CRUMB CAKE AROUND! Down in Lake Buena Vista Florida on the Disney Boardwalk is a bakery that sells “New Jersey Crumbcake”. It really was VERY good! Give it a try next time you’re strolling between the hotels and Epcot! My favorite of all I have tried is Muellers Bakery in Bay Head NJ. In business at same location on Bridge St for 70yrs or so. Hard to imagine anything better than this. We ar one of many throughout country/world who have them shipped to our home. Ferrara’s Bakery in Brant Beach on Long Beach Island, NJ has the most AWESOME crumb cake I’ve ever had! We wait all year for our vacation at the Shore and the first thing everyone wants to do is go to Ferrara’s for crumb cake and doughnuts! I have been driving around seeking good bakeries for years. I have not been to all of the bakeries listed above, but so far, the Woodland Bakery in Chatham makes the best Crumb Cake I have found, better than Natales or the one in Styertowne. I agree with Len. 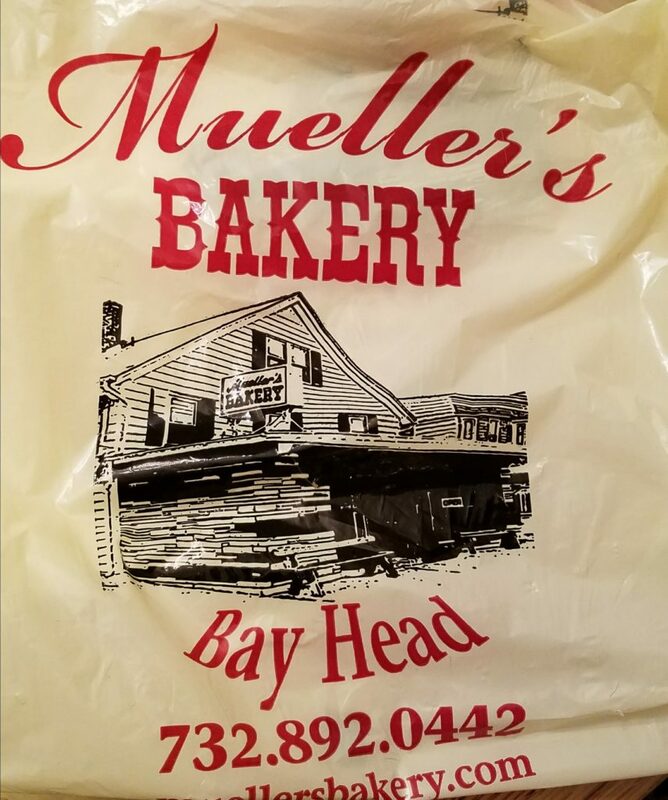 My parents owned part of a shore house in Manasquan for several years and Saturday mornings always meant Mueller’s Bakery crumb cake. I live in CA now, but still have Mueller’s delivered to my house. Len is right! Mueller’s in Bay Head is the best! The appeal to me at B & W is the CTC Ratio. The crumbs through are not very flavorful nor is the cake. It is very dry. This is the second time I tried it. I wanted to give it a second chance cause I really wanted to love it since I love top heavy crumb cake. I went all the way from Long Island to get it but was disappointed again. My search continues!